Fleetwood Town visit Valley Parade tomorrow, with the Bantams lacking in both goals and confidence. Tuesday night’s home defeat to Barnsley did provide some positives, despite the result. City showed a level of determination we have seen so infrequently this season. The quality of play was also a lot better than we have been accustomed to this year, with Rory McArdle and Reece Burke (as well as Nathan Clarke) opting to play out from the back, into the feet of Chris Routis and Tony McMahon in midfield, rather than the predictable long, diagonal ball forward. The amount of chances created was a positive too, although the lack of impetus in front of goal is definitely a cause for concern. City created enough chances to win three or four games, but could not put them away – something that has happened far too often already this campaign. City’s lack of a clinical striker has been apparent all season. You only have to look at the “goals scored” tally to notice this. City have netted just 26 times in 26 league games. Peterborough, sat only three places above the Bantams, have scored more than double this amount. How do you fix this? 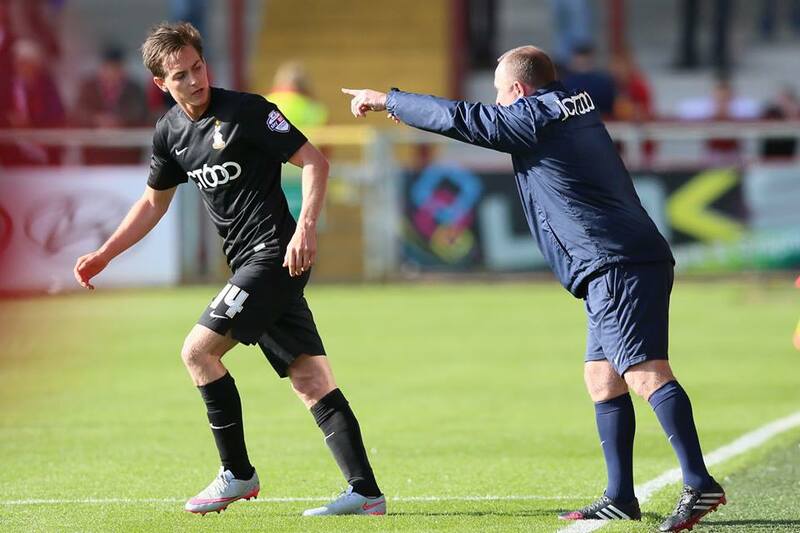 Does Phil Parkinson change the team/formation around? Does he go all out and spend big on a striker? Whilst Jamie Proctor has made a good start to his (brief) City career, he’s not the long-term replacement for Devante Cole. Phil Parkinson is looking at bringing a striker into the squad, and (according to Simon Parker) this new addition could be at the club by the weekend. Goals from midfield have been few and far between this season too. Goals by midfielders have made up just eight of our league goals this season. Compare this to Gillingham’s Bradley Dack, who has scored 12 times from midfield. Looking at Saturday’s line-up, it will be interesting to see who Parkinson picks as his two strikers. Billy Clarke will miss the game through injury, whilst Steven Davies and James Hanson are recovering from knocks, so may only be half-fit. Jamie Proctor is ineligible for the game, as Fleetwood are his parent club, meaning that Parkinson could potentially be without four strikers this weekend. This may pave the way for Luke James to make a rare start. Parkinson may also make a couple of changes in midfield. Tony McMahon and Chris Routis seemed to be bypassed somewhat by the game at times on Tuesday, and in my opinion there are better and more effective midfield pairings that we can field. The rest of the side should remain the same as Tuesday, depending on the seriousness of Reece Burke’s injury. Fleetwood Town’s game in midweek was postponed due to a waterlogged pitch, so they may be slightly fresher than City. They’re on a decent run, having lost just once in their last seven games, but still lie just inside the relegation zone. With Devante Cole ruled out through a hamstring injury, Fleetwood’s biggest threats will come through midfielder Jimmy Ryan and striker Bobby Grant. Grant is their top scorer with seven goals so far this season, whilst Ryan has the ability to pull the strings in midfield. Saturday gives City the chance to get the result that Tuesday’s performance perhaps deserved. Sitting five points off the play off places with a game in hand, the Bantams are still in a decent position to mount a serious promotion challenge, but they need to start taking their chances before the season slips away. I can’t really recall enough chances in the Barnsley game to win 3-4 games. One scramble in the first half which Billy Clarke cleared off the line, and proctors attempt at an any goal but that’s it. I think crosses into the box are getting confused with chances again, a trait of PP is that one. Its a problem we have had all season. I think Hanson will play and maybe use Morris further up to play with him, with Reid coming back on the left side. Make or break now…win today and we take that confidence to Burton and ensure the gap between City closes or at least remains the same.